Proclaimed ‘The Friendliest Town in NSW’ in 2005 by Pat Shiel, Editor of Column 8 in the Sydney Morning Herald, Temora Shire has continued to live up to the legend – so much so that the story of how it happened is almost inscribed in local folklore 14 years on. This well-deserved title was bestowed upon Temora after a bus full of Sydney-siders heralded into the main street that day, and proceeded to put it on the map. But it wasn’t the amazing facilities, the sporting prowess, and not even its schools or surroundings that did it… it was the people. And it’s the people of Temora who’ve put themselves on the map yet again this month, with the recent release of Temora’s Great Quack Quest music dance video to promote the town to prospective GPs. Within 48 hours, the video had received upwards of 45,000 views on Facebook – and Temora did it again featuring on media outlets far and wide, and even several TV news programs. It’s just one more example of the passion, the genuine care, and the vision for the future held dear by this special community. The Temora Shire is comprised of the town of Temora, along with two smaller villages, Ariah Park and Springdale – bringing the overall population to 6,236 and growing. Located smack-bang in between Sydney and Melbourne, it’s a central hub, with towns such as Coolamon and Cootamundra just a 35-minute drive away, not to mention the large regional centre of Wagga Wagga only an hour down the road, and nearby Canberra just a pleasant two-hour drive south-east. Many make the move to the Temora Shire for the country lifestyle and the modern facilities… but they stay because of the community. 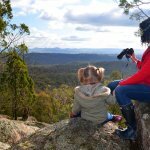 This is evidenced by those who have made the move to the area over the years, “When we first moved here, friends became my family in Temora,” said Lorrae Patterson, a local business owner. There’s never a shortage of jobs going across the Temora Shire. Each month you’ll see advertisements for a range of opportunities from agricultural, to health and community services, retail and sales, and administration. Temora is also currently the focus of multi-million dollar investment from both the government and private sectors – this will result in more than 350 new jobs created over the next five years. With an unemployment rate lower than the national average, this means that the demand for skilled workers will continue to increase. Temora is dedicated to providing support for local businesses, with an active local business community found through the Temora Business Enterprise Group (TBEG). Council throws its support behind existing and startup businesses through projects such as The Prosper Initiative working group, the Temora Unearthed events, and supporting other training and development opportunities. BREED Business Centre (BBC), a Sydney-based business incubator organisation providing serviced office space to startups and remote workers, opened its doors in Temora’s main street last year. This marked a huge show of support and belief in the town’s business future. Getting into the housing market for the first time is very achievable here. Starter homes come in at around $160,000, with more luxurious houses around $650,000. An average three bedroom home goes for around $245,000, and an average four bedroom at around $380,000. Although these prices may seem unheard of in the city, it’s typical of Temora. 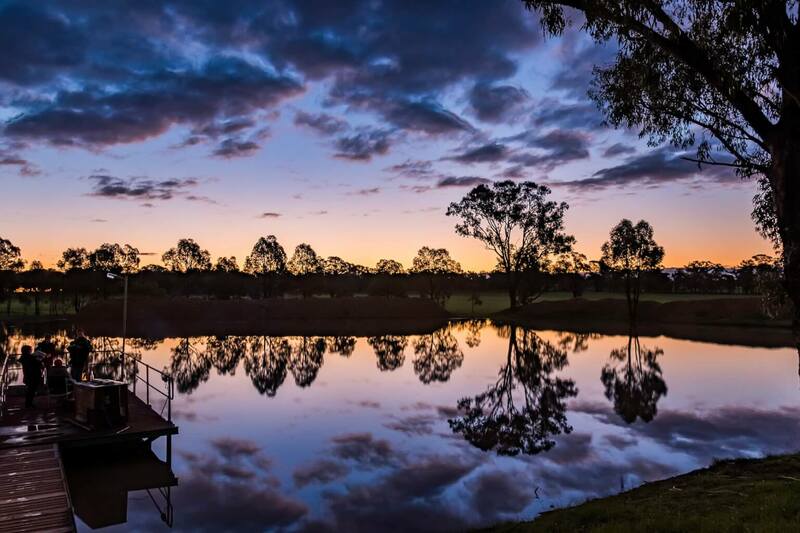 And this is a place where you can live your life with the perfect balance – in peace and quiet, and in a community that cares… it’s all achievable with a country change to Temora Shire. Whether it’s in Temora, Ariah Park or Springdale, here you’ll actually meet your neighbours, and likely build a lasting friendship as well. If you’re concerned that leaving a city means you forfeit your access to medical services, Temora can prove you wrong. The Temora Medical Complex is just five years old and houses 12 consultation rooms, a nursing and small procedures wing, telemedicine facilities, allied health rooms for a range of visiting practitioners, onsite pathology, and medical imaging just next door within the precinct. Not only that, but Temora Hospital has a brand new operating theatre for booked procedures and obstetrics, and the town has numerous other medical services including a private doctor surgery, dentists, podiatrists, optometrists, physiotherapy, mental health, remedial massage and alternative therapies. So you know you’ll be well-looked after, should you need it. You might be wondering about the education options for your kids in the country. The great news is that the Temora Shire offers the choice of four preschool and childcare centres, two primary schools, two central schools (K-10) and a comprehensive high school, providing both choice and opportunity. Schools in the district offer specialised support services, as well as gifted and talented programs. Students also have opportunities to connect with more tailored learning experiences and opportunities through technology links. Students are provided with large scale excursions including sporting events and opportunities, The Warrumbungles and Dubbo, Canberra, Sydney, and special events such as The Royal Easter Show, ski trips, and even international exchange programs. The opportunities afforded through these experiences go towards a quality, well-rounded schooling experience that rivals the city. Living in the Temora Shire is a sports nut’s dream. Run, swim, hike, ride, gym, sport, walk or train, League, Union, AFL, soccer, cricket, netball, basketball… even badminton! No matter what your source of exercise, fitness or well-being is, this place can offer it. The Temora Shire boasts two gyms, bike tracks, an indoor heated swimming pool, an outdoor Olympic swimming pool plus indoor heated pool facilities, a beautiful lake and an abundance of space, so many are surprised to learn that there really is an option for any interest. And it’s not all about the hustle and bustle of team sports. It’s a place where the landscapes and the sunsets are second to none. Breathe in the fresh country air as you take a walk by fluorescent yellow fields of canola, waterscapes around the beautiful Lake Centenary, or the quiet and peaceful township streets. Art, culture, sport or recreation – the Temora Shire has you covered. Living here it seems you’ll never be lost for something to do, or for opportunities to experience and genuinely enjoy family life. It’s no secret that aviation is running through the veins of Temora’s people. Even non-enthusiasts will be in awe of the extensive collection of aviation paraphernalia held at Temora Aviation Museum. As a resident of Temora, every day is a flying display. Looking up is to enjoy history and a vision for the future flying side-by-side. The exciting thing about this is the ability to turn your dream of flying into an everyday reality. Temora Airpark Estate offers house and hangar blocks, with direct access to taxiways, for a fraction of the cost you’ll be forking out anywhere else. The airpark community is a close knit one, with the chance to build a life around doing what you love, and others who share the same passions for flying. So, does it live up to the name? If you really want to know whether the Temora Shire lives up to their title of ‘The Friendliest Shire’, it’s best to get the word from country changers who made the move. Sal and Marilyn Carerro made a country change after attending the Country Change Expo in Sydney. A sign caught their attention: ‘Temora – the friendliest town in NSW.’ Even though they’d never heard of Temora, they knew that a friendly town was exactly what they were looking for. But did it deliver? So, whether it’s a place for your family to grow and thrive, job or business support, the chance to enter the real estate market with more than you could hope for, the Temora Shire is a place where you’ll find the lifestyle you’ve been wanting for your future. It’s not just the facilities or the opportunities that we love the most though – it really is the people. The Temora Shire is a community of true vision and hope for the future, and that comes directly from the heart of those who live there. That’s why people choose this for their country change… and that’s why they stay. 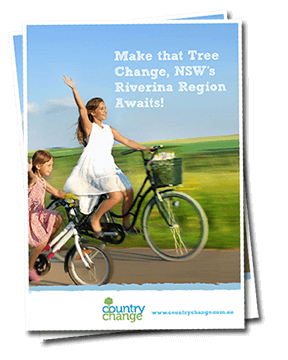 If you’re seriously considering a country change, why not book in a visit to Temora? The friendly locals will show you around, answer any of your questions, and it’ll give you a chance to see just why you could make your home right here. Get in touch today.